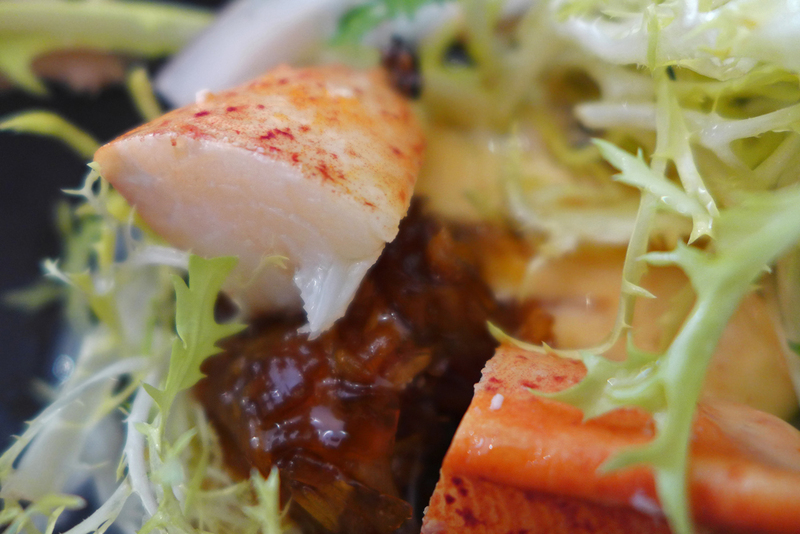 The Samling , Windermere – New head Chef Ian Swainsons Tasting menu 2012. 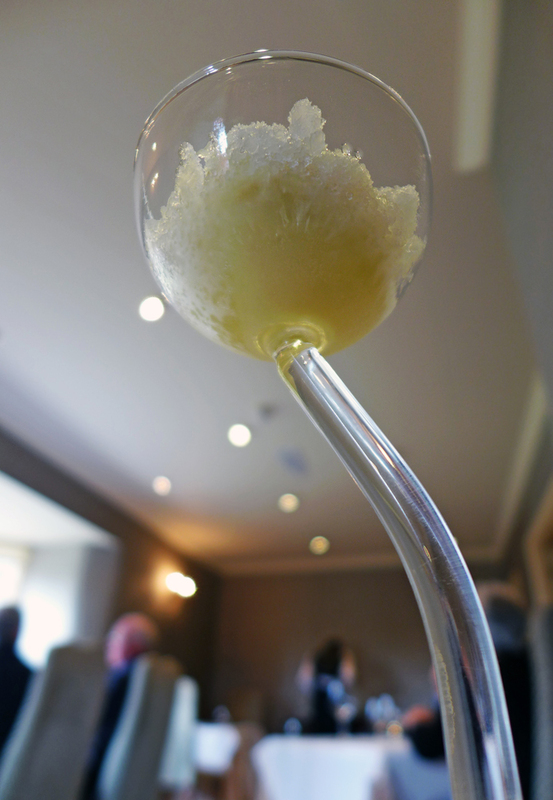 It`s been a couple of months since i had the “Cumbria Life summer lunch” at `The Samling` . An excellent value lunch for £25 and definitely one of the bargains of the season. 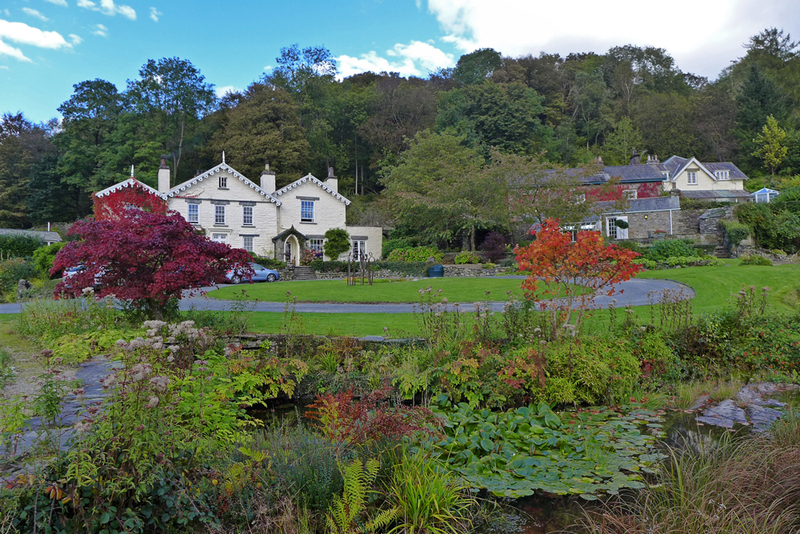 Since my visit in July there`s been some dramatic changes over at the Country house hotel near Windermere. New Head Chef Ian Swainson has been appointed and in position for a month and the food has dramatically kicked up a gear in the quest for bigger and better things.Ian moved up to his lake district post from Alan Murchisons L`Ortolan restaurant in Reading and also has posts at Seaham Hall and La Becasse. 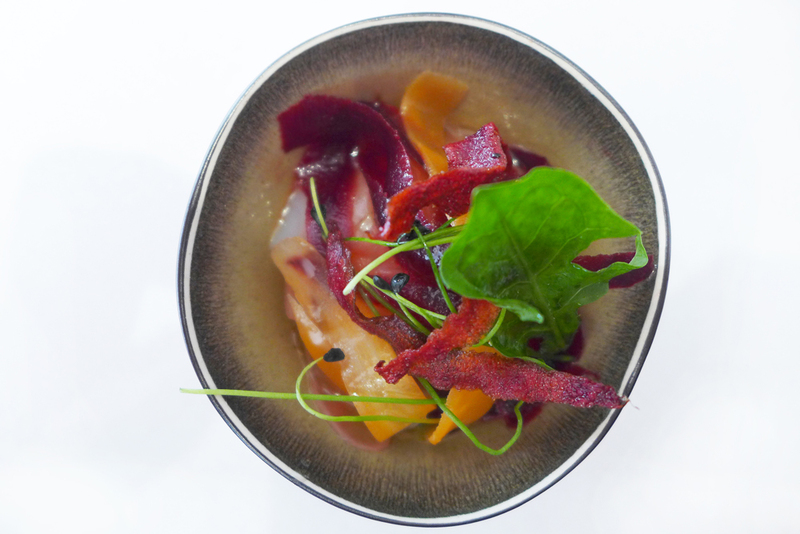 Ian also graced our screens recently as a finalist on ITV`s “Britains best dish”. 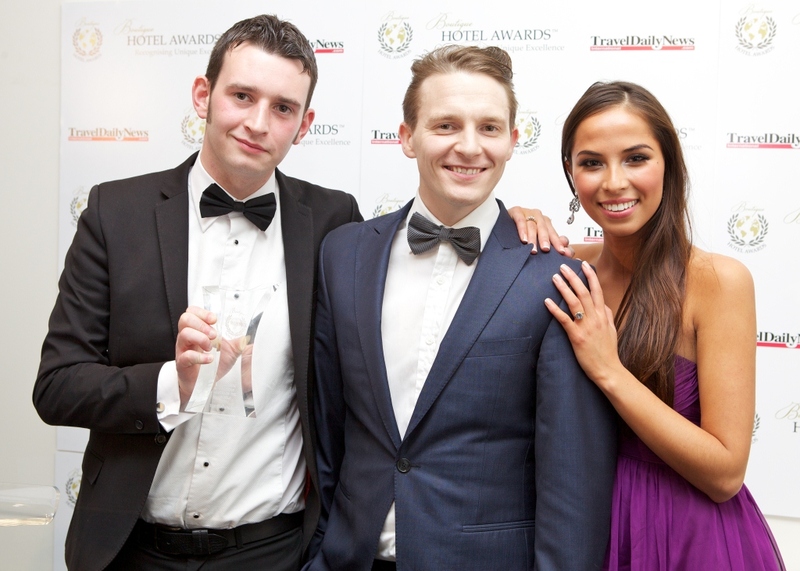 The latest and very exciting news for the team is that The Samling has just been awarded the prestigious title of The ‘World’s Best for Dining’ at the Boutique hotel awards in London .The Samling were presented with the award ahead of other short-listed luxury hotels offering fine dining in Bangkok, Malta and London. As far as the food goes then there`s a few options available. 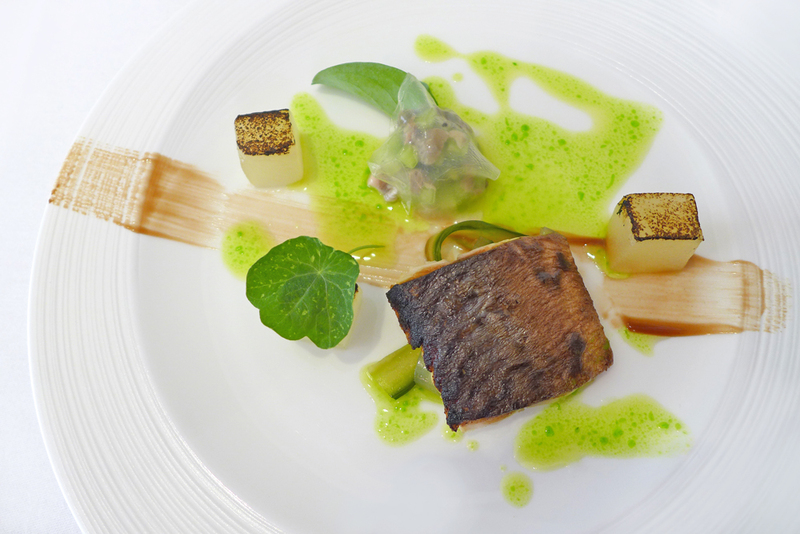 There`s the daily fixed price lunch at £35 pp that consists of 3 courses with canapes and pre starter. Always make sure you check the Samling website HERE just incase there`s any offers on….you can`t afford to miss the opportunity of the lunch for £25….and they dont scrimp on luxuries either.I chose to have Ians new “Tasting menu” , this is priced at £65 and it`s the perfect chance to see what chef is all about. There were quite a few comments during my lunch from other diners asking what menu i was on and wishing they`d ordered the same one. Service was very well tailored and i noticed that almost all of the staff were very young , extremely well mannered and well educated as to exactly what was on the plates. As well as acting so professionally they were also more than capable of smiles and normal down to earth coversation…well done guys , it makes the diner feel a lot more relaxed and at home. Negatives… I`m stopping here and thinking hard and apart from my coffee price whinge from last time i can honestly think of none. 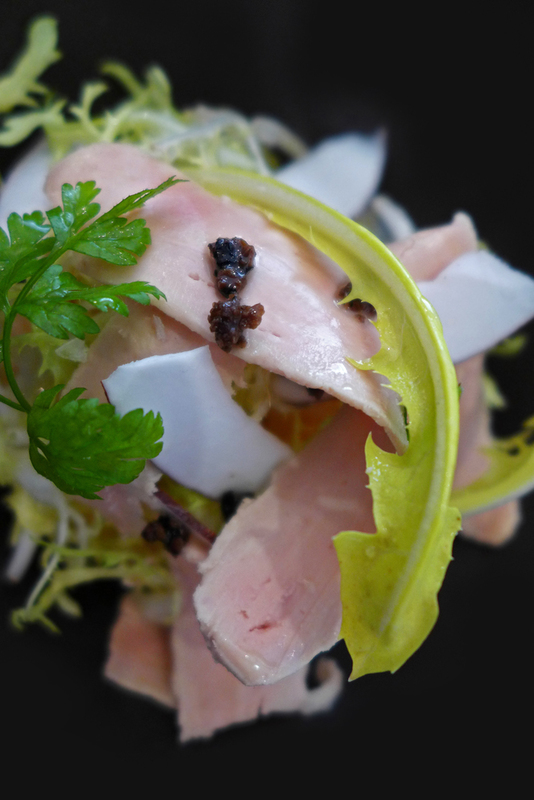 The food`s great , innovative but keeping balance with the establishment and surroundings of a country house. 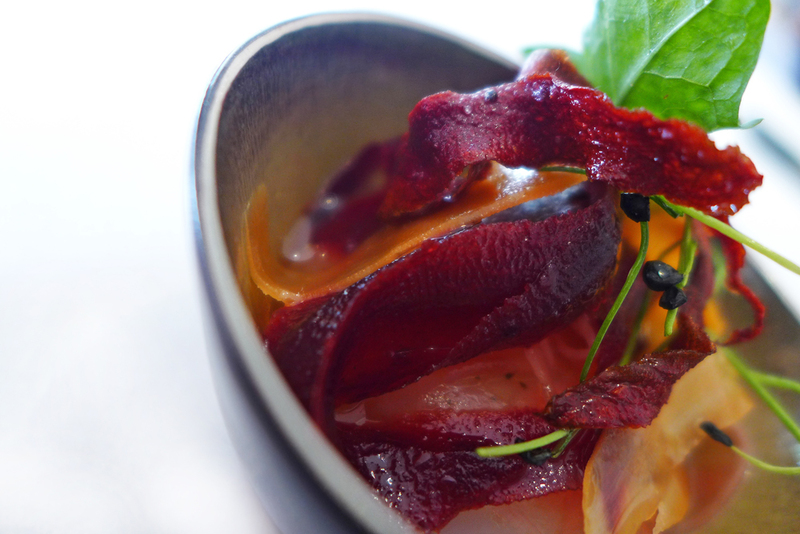 ( More Local ingredients , suppliers and wild locally foraged produce will add some special magic to the menu guys ) The service is very well polished and they`re there in an instant when needed…. I can only assume from their current award and the arrival of Ian Swainson that The Samling is about to hit the nations radars very quickly now that they`re on their Golden path. Good luck and Thanks Guys. 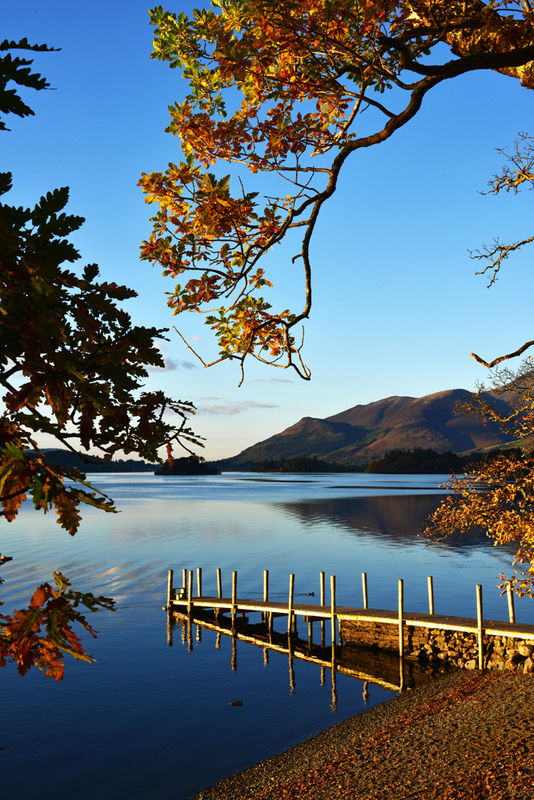 The view over Derwentwater en route towards Windermere. 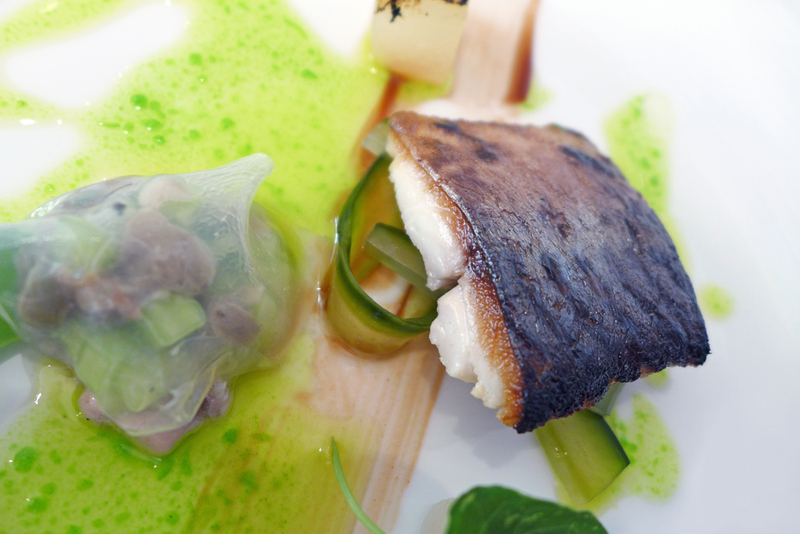 Atlantic Mackerel , Blow torched Melon , Oyster Ceviche , Compressed Cucumber , Wasabi vinaigrette, Oyster leaf. 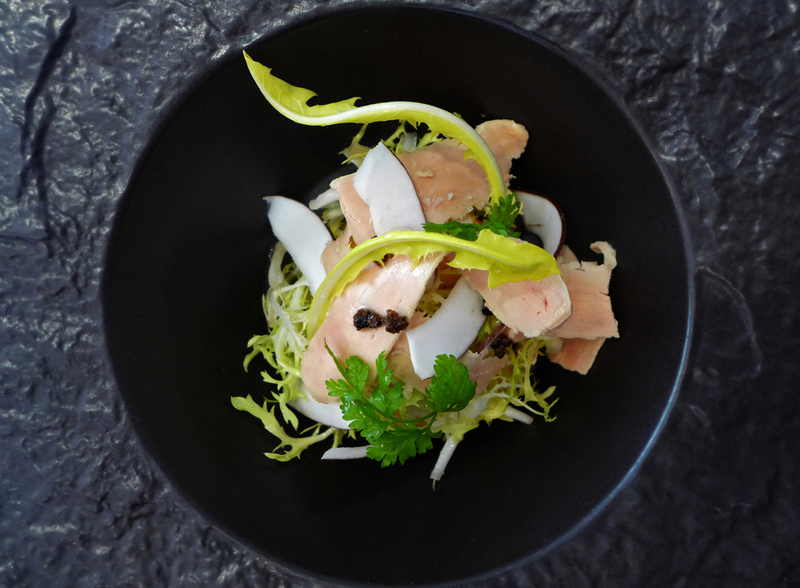 Foie Gras ribbons , Poached Lobster , Chicory Jam , Truffle essence and Coconut shavings. 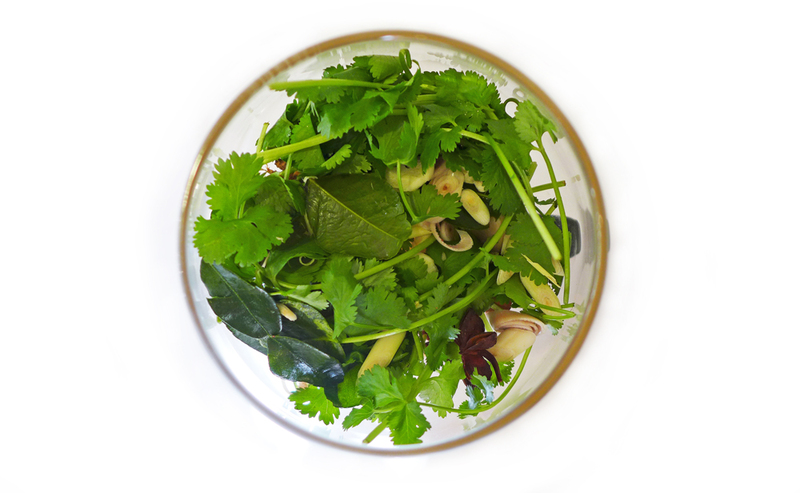 Aromatic Asian influenced broth – Coriander , Galangal , Lemon grass , Lime leaves , Star anise and Asian shallots.This is going to be the base for the fish course.Once the small heater gets to work underneath the stock the liquid begins to rise into the Asian greens.Once gently infused the heat is removed and the highly perfumed stock returns to the holding glass. Its a lengthy process but nevertheless very dramatic and fun to watch.Its probably worth it for the aroma alone….The whole dining room sits up and takes notice with lots of Oooos and Ahhhs. Pan fried Turbot , Squid pearls , Sea vegetables , Rice Royale set cream. 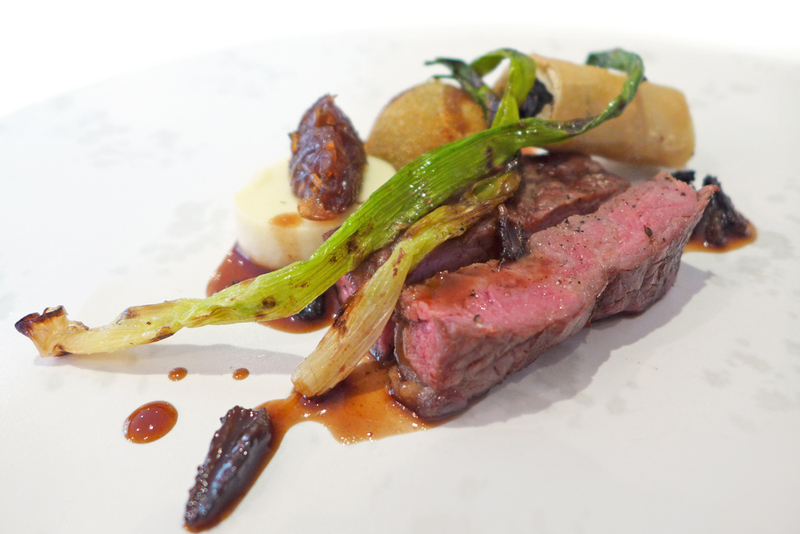 Twice cooked Rib eye , Snail cigar , Parsley bon bon , White onion panna cotta , Baby Morels , Red wine reduction. 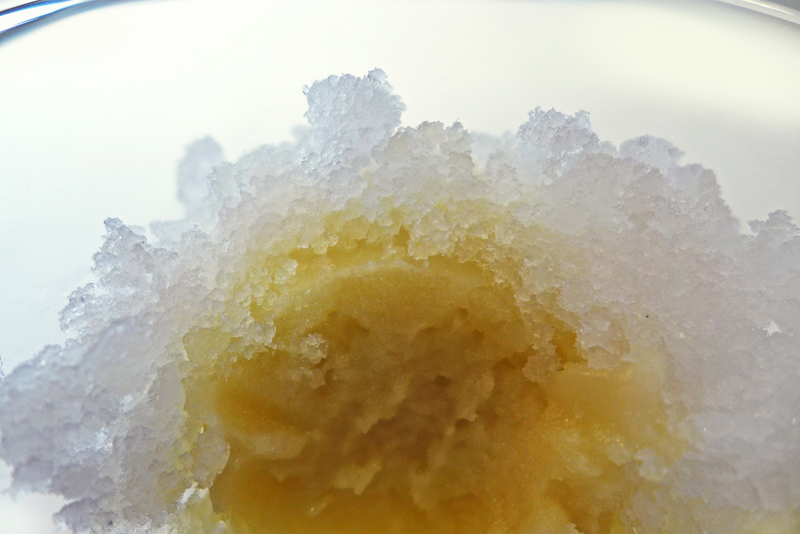 Mojito sorbet , with Mint and Rum and Lemonade granita. 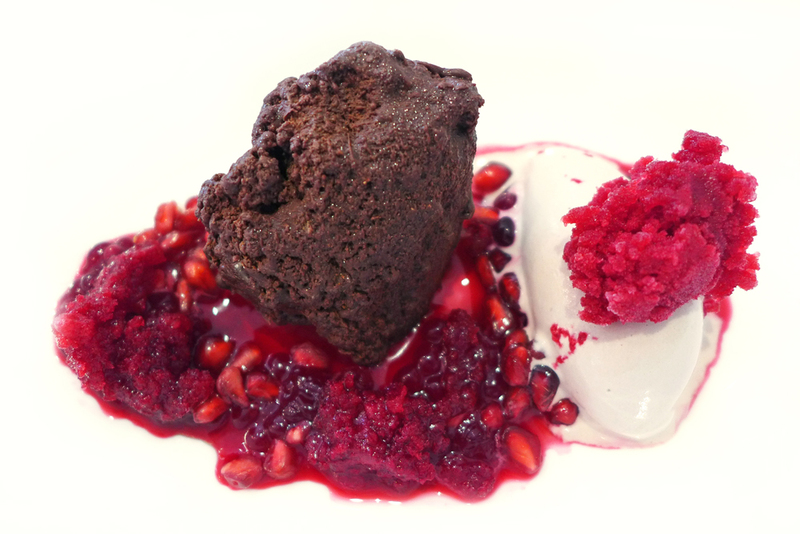 Chocolate rock with textures of Pomegranate and Beetroot. 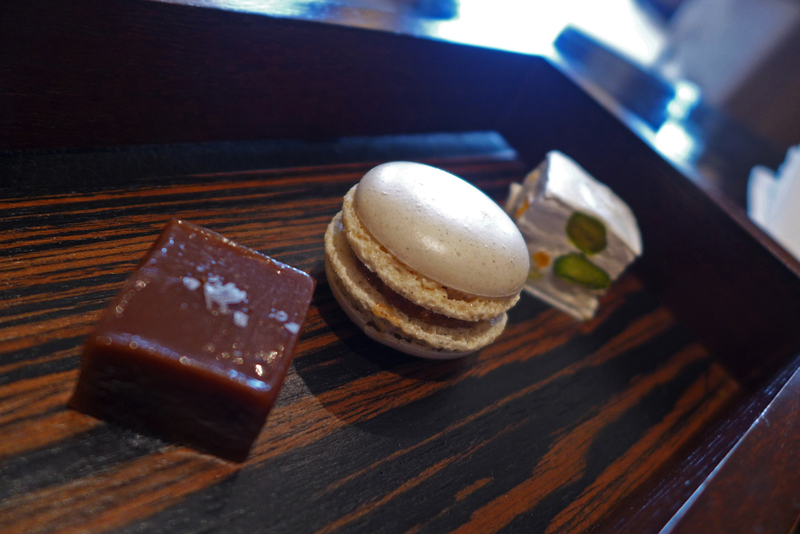 Chocolate salted fudge , Vanilla and caramel macaron , Pistachio Nougat. 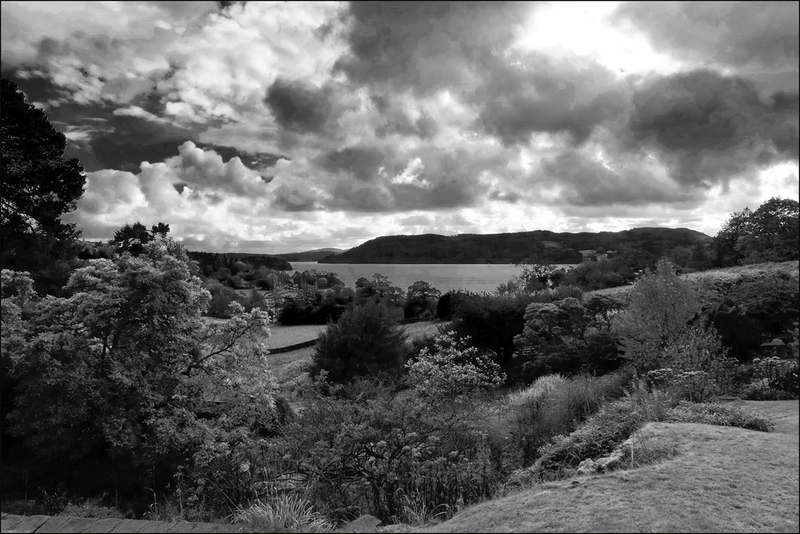 The dramatic view from The Samling over Windermere. 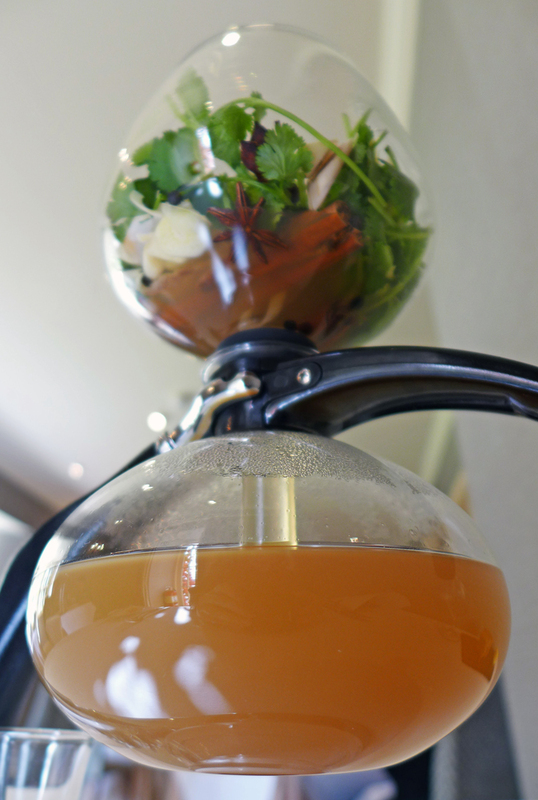 Previous Post LENCLUME – What`s the best Camera for the Geeky food blogger. Next Post The Ubiquitous Chip , Glasgow – One of my best finds for years. 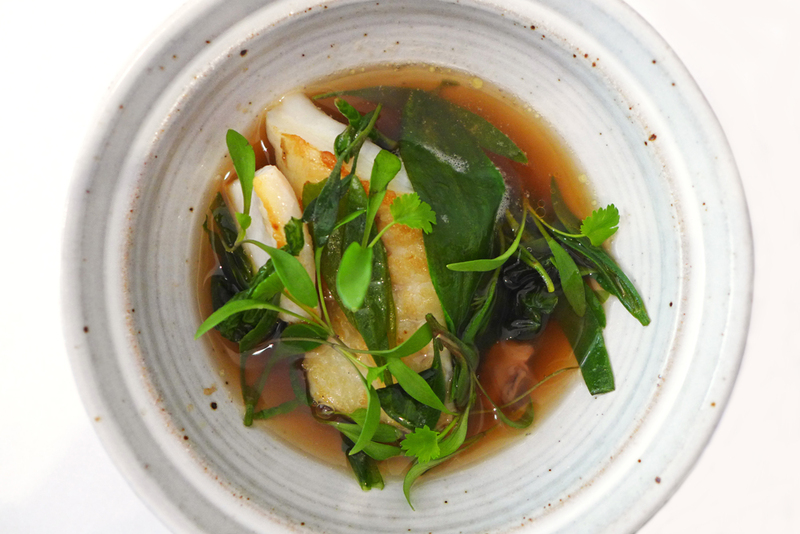 Looks great; haven’t seen the Asian broth trick done anywhere else I don’t think? 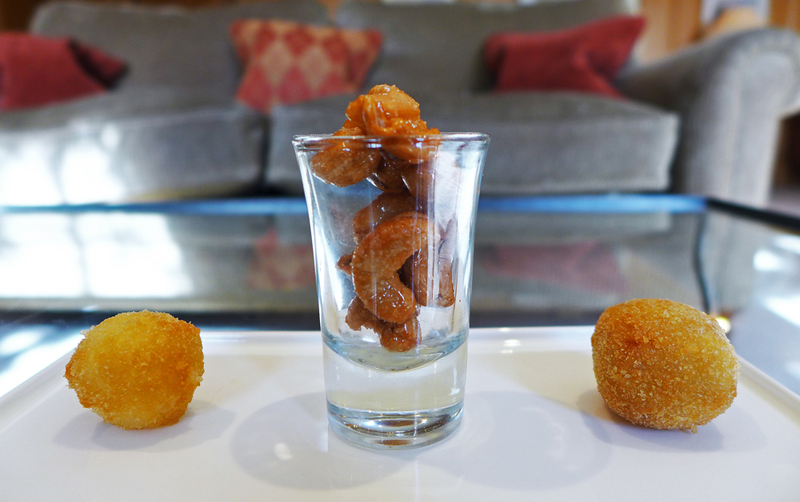 I looked into the Samling a while back when looking for a “special” meal in the Lakes. 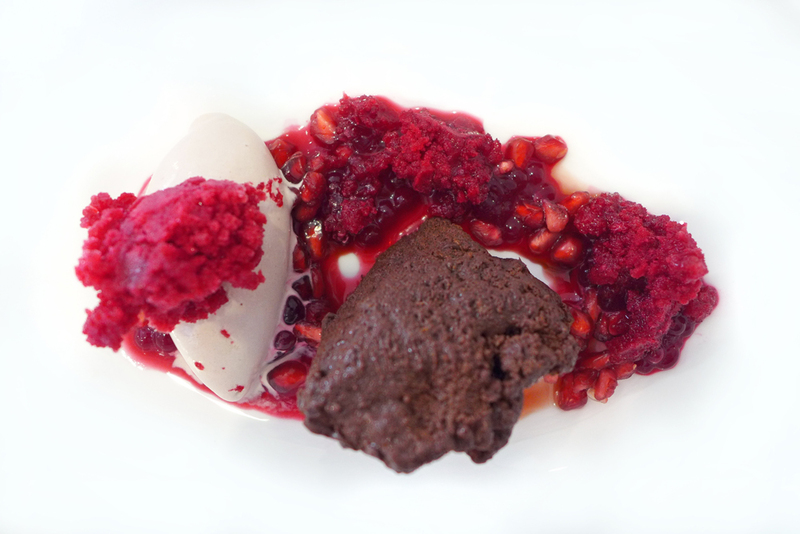 It seemed overpriced, so we ended up at L’enclume (which was amazing). Fair play to them for revamping things and offering good value at lunch, especially after having lost their Michelin gong. Genetically challenged choccie rock Enassar ?….Well maybe so but it was filled with a very delightful chocolatey goodness. I may have to search out a prettier pic for you then….UPDATED …there you go.